Displays today extend far beyond the corrugated POP. 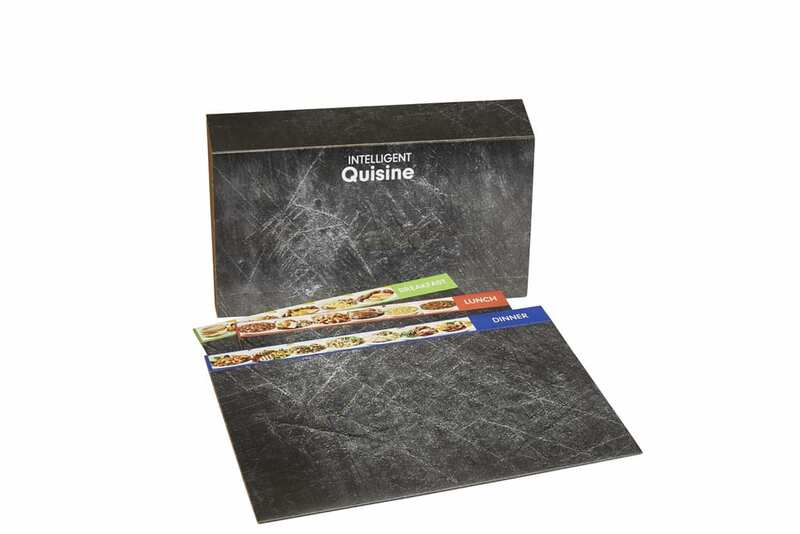 While corrugate is economical for presenting products in floor or table top displays… acrylic, metal, wood and other more permanent materials are being used for a longer life. Product displays in these materials permit graphic updating which extends advertising life. Smaller directional signage made in plastics, poly, metal and acrylics stand the test of time when it is necessary to clean and use over extended periods of time. 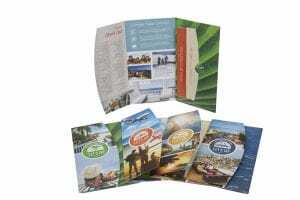 Vacation packages for every promotion. 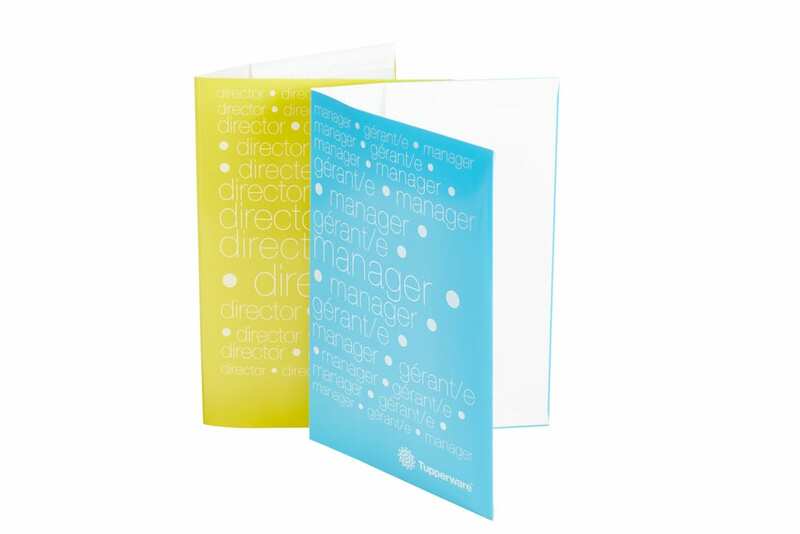 Three panel 4-color printed folder with die cuts to hold certificates and welcome information. 4-color printed and gloss laminated season ticket pass folders. 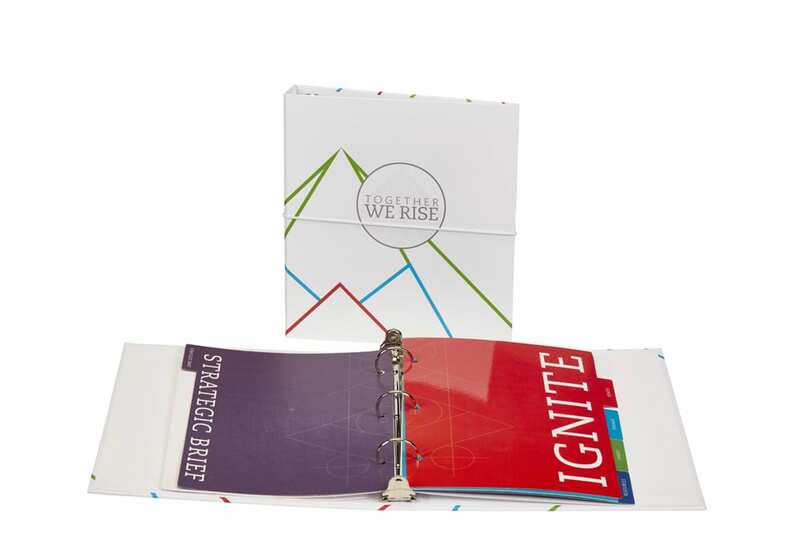 Gusset and box pockets keep everything in place for an organized presentation. 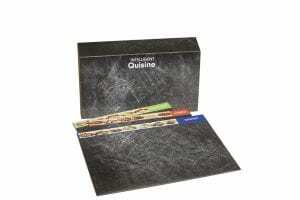 Sleeves 4-color printed aqueous coating and delivered to client for fulfillment. 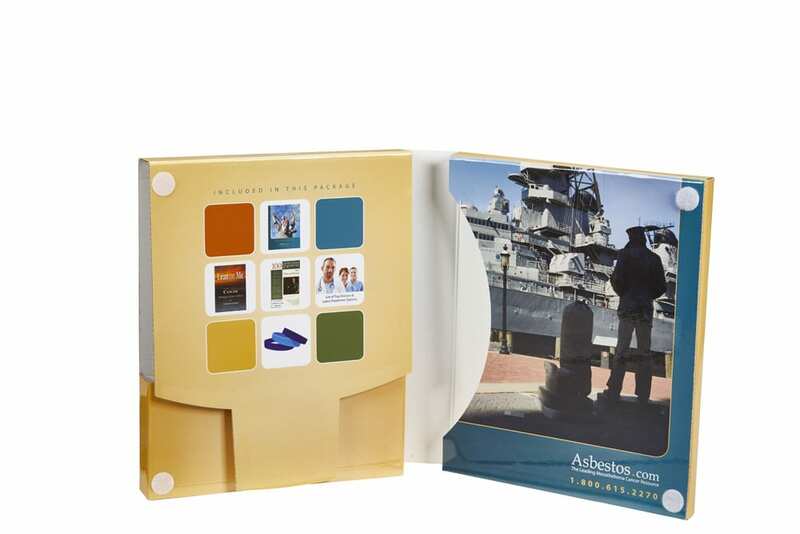 Video book: 4-color print + matte lamination video book. 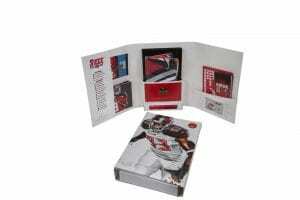 Inside is a 10” video screen with high definition video. Versatile and durable poly make excellent folders that will hold up with heavy use and can be silk-screened in vibrant colors. Meeting materials presented custom trifold folder made of natural uncoated paper that is printed was produced to hold the meeting materials designed by the client. 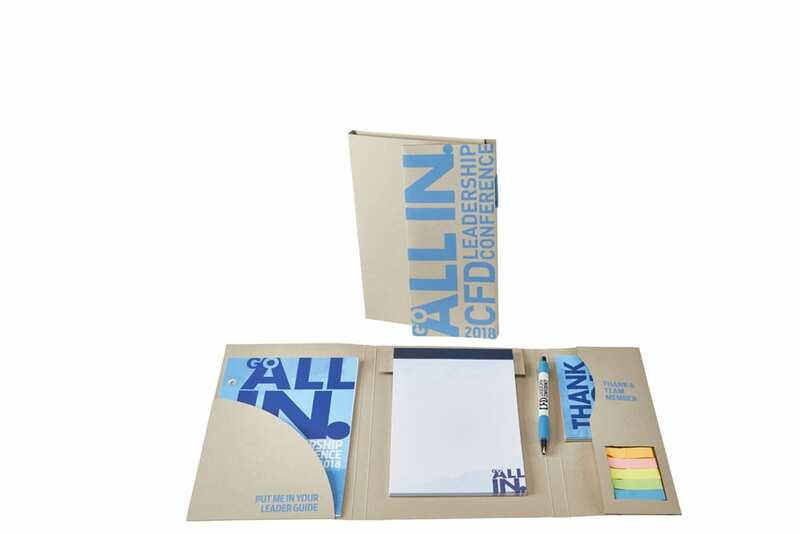 Printed pages, custom pen, thank you cards and writing pads provided by client were assembled at Rimco along with the colored flag folio and delivered ready to pass out at their event. 4 Color printed + gloss laminated paperboard 3-ring binder with horizontal pockets. 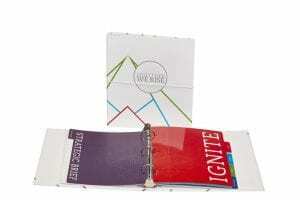 Custom small turned edge 3-ring binder with 4-color + matte laminated cover and liner. 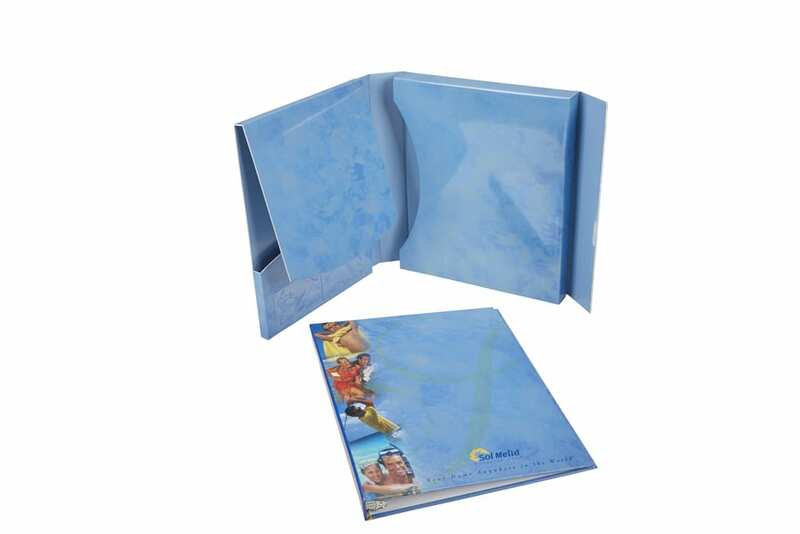 Inside tabs are printed in coordinating colors and gloss laminated front and back. Wrap around elastic closure keeps binder shut. 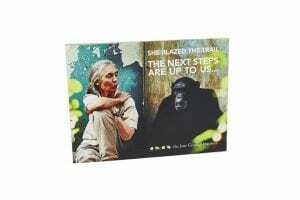 Silkscreen black cow design on white/white corrugated box for presentation materials. 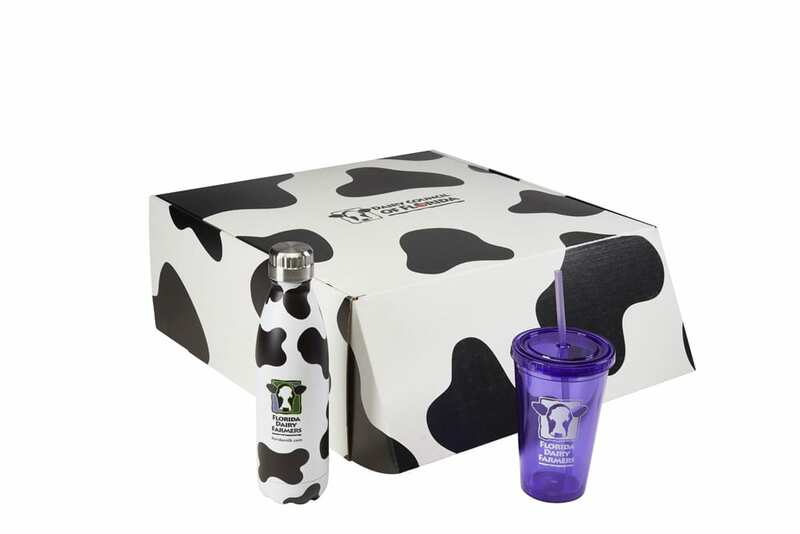 Drink holders include a metal bottle with same cow print design and logo on the front. The purple tumbler with acrylic straw also has the logo screened on the front.